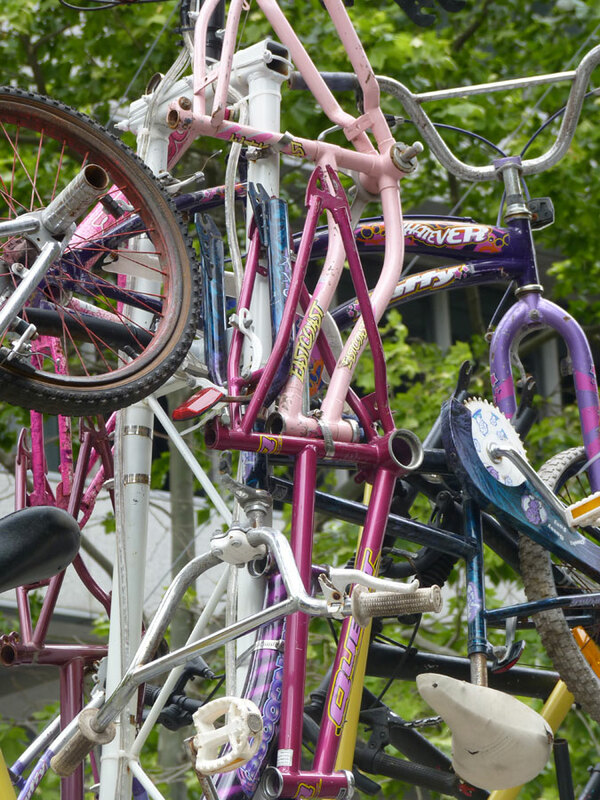 Tendril Productions produced and production managed the creation and installation of The Bike Bike. 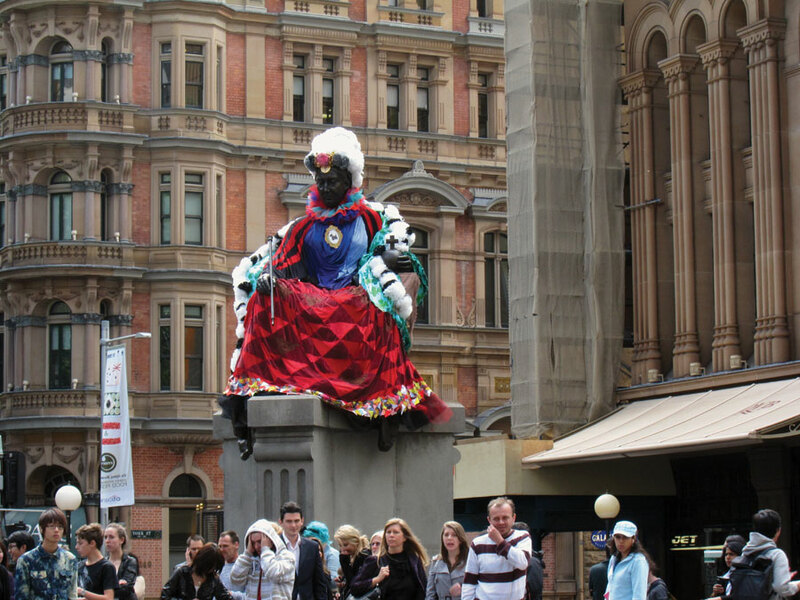 Commissioned by City of Sydney as part of Art & About Sydney 2010, the artwork was originally installed in Martin Place, Sydney, in September-October 2010. 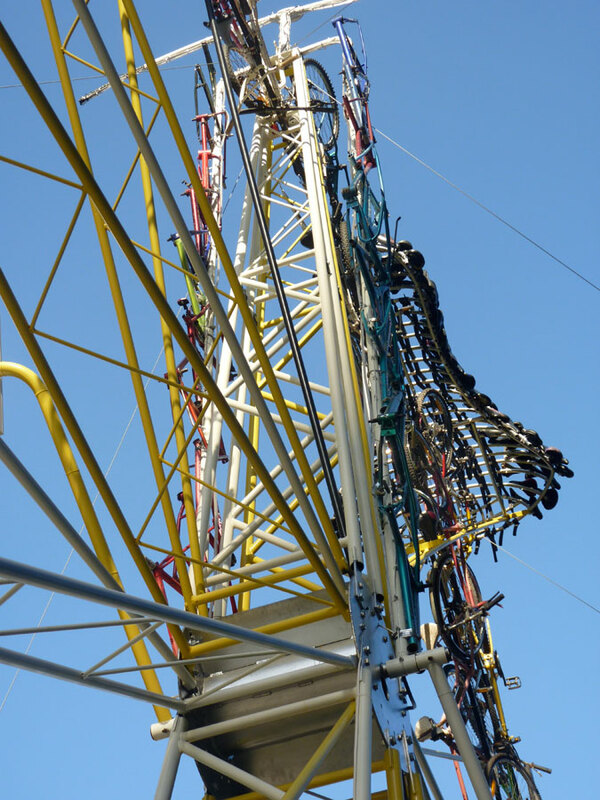 Sitting 12m high and 14m long, she weighs in at around 2 tonnes. 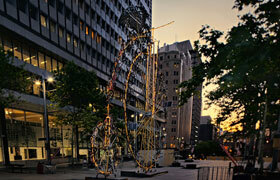 The Bike Bike is made from about 100 recycled bicycles laminated over a custom made steel framework. For more images of the making of The Bike Bike click here. 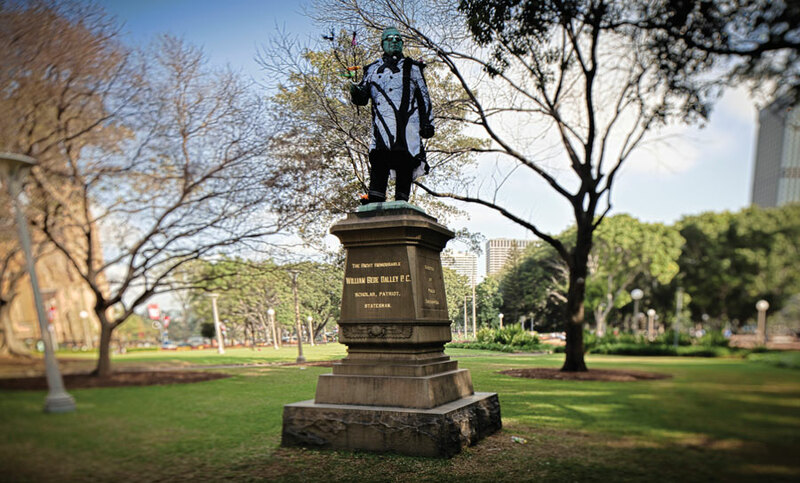 ‘Sydney Statues: Project!’ re-awakened eight of Sydney CBD’s heritage statues for a contemporary audience as part of City of Sydney’s Art & About Sydney 2010. 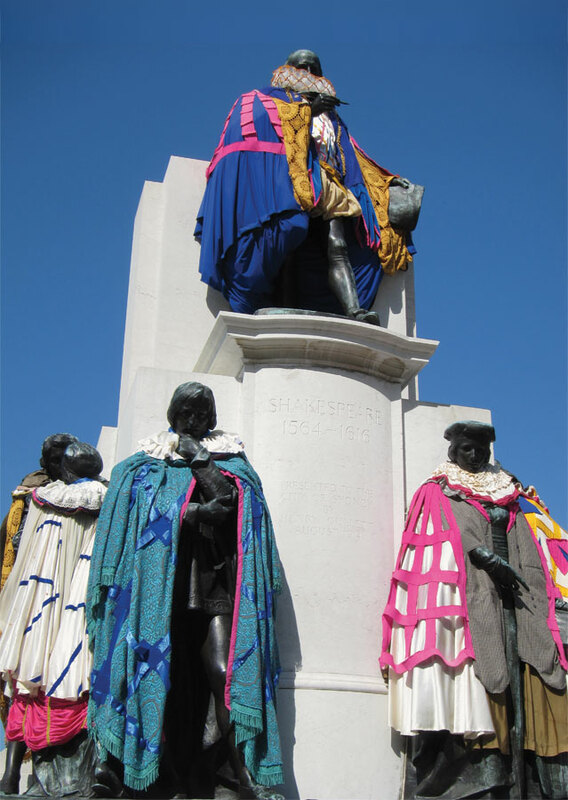 Inspired by the colourful art clothing scene of the 70s and 80s it brought textile artists and designers together spanning three decades of bold, flamboyant fashion to create clothing and accessories for the statues. 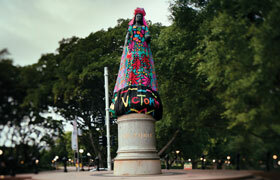 Queen Victoria at QVB. Photography © 2010 Ann Daly. 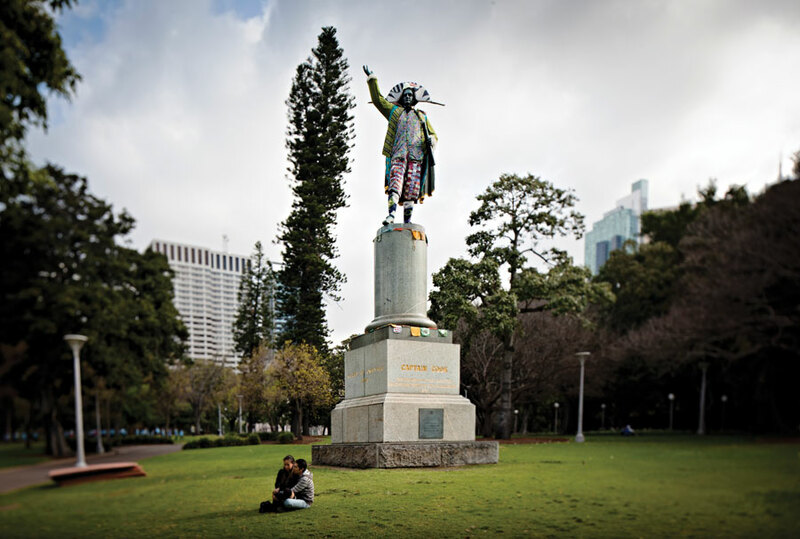 Captain Cook. Photography © 2010 Matthew Venables. 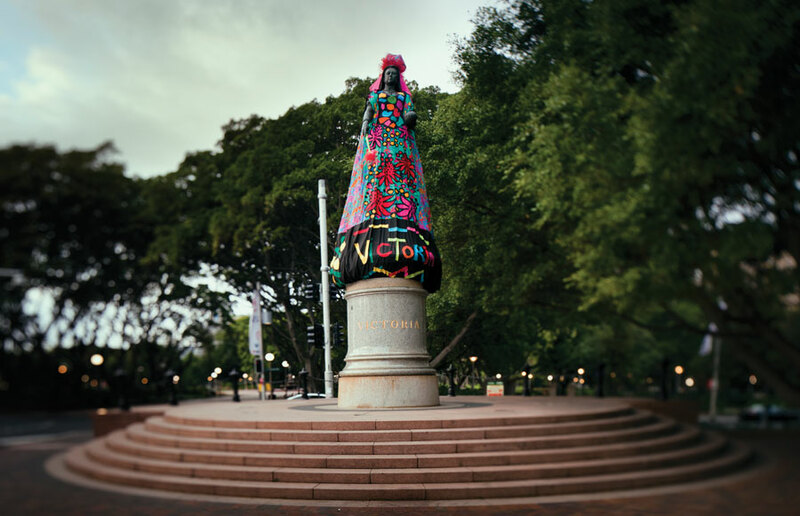 Queen Victoria at Queen's Square. Photography © 2010 Matthew Venables. Prince Albert. Photography © 2010 Matthew Venables. William Bede Dalley. Photography © 2010 Matthew Venables. Il Porcellino. Photography © 2010 Ann Daly. 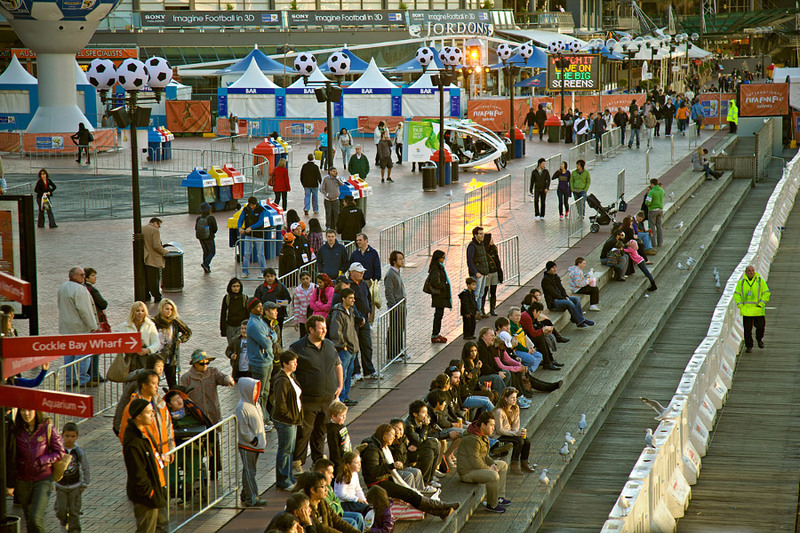 Tendril Productions oversaw the creation and installation of scenic decor elements for the Sydney International FIFA Fan Fest 2010 live site at Darling Harbour. 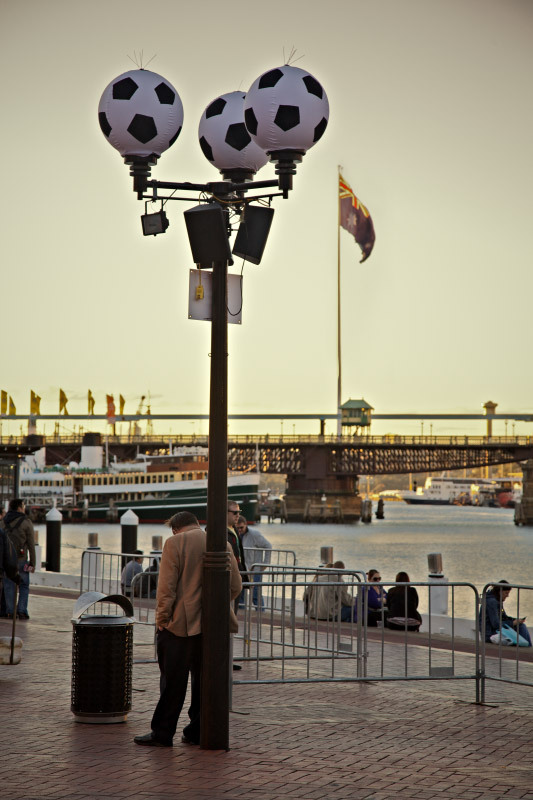 Filling the waterfront boardwalk we turned the lamp covers into a sea of giant soccer balls and at the site entrance we transformed two overpass banners into a super-sized gallery. Creative direction & production by Alasdair Nicol. 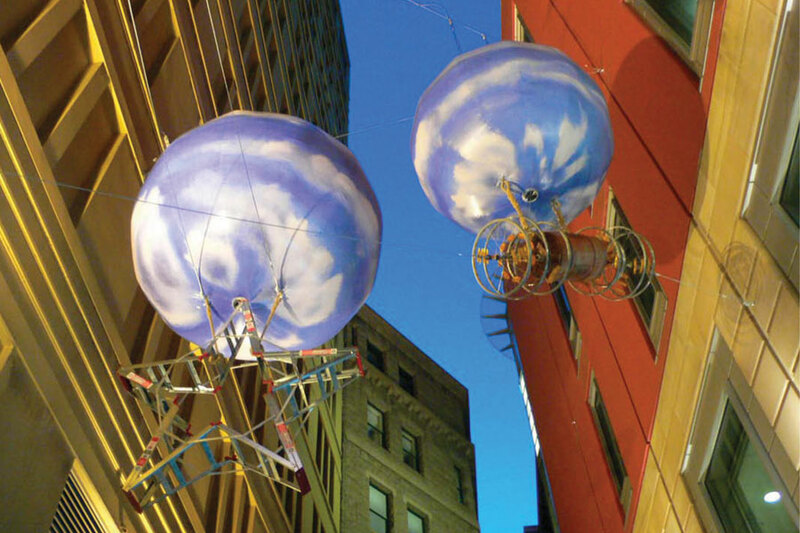 Tendril Productions production managed ‘Flight of Fancy’, an art installation produced by 107 Projects as part of Sydney Festival First Night 2010. 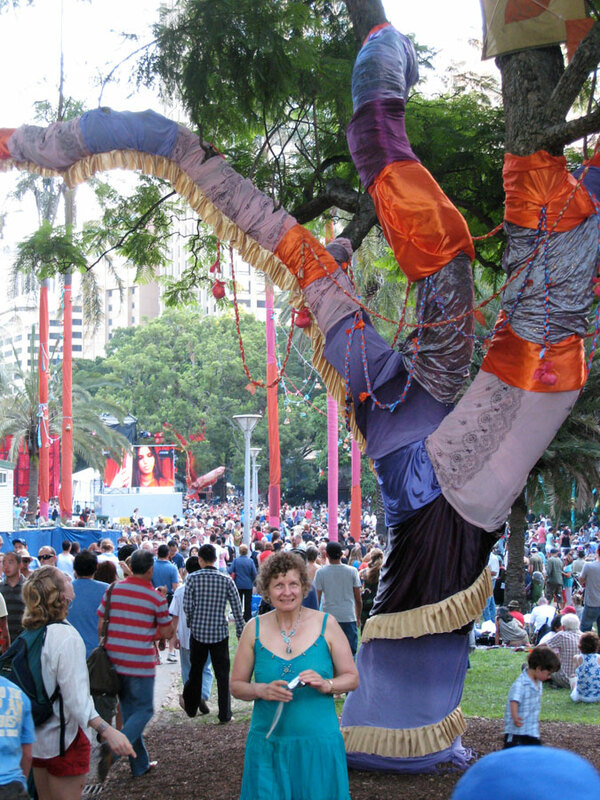 Designed to complement the Indian themed performance program in Hyde Park North the project saw the 107 Project’s team convert the grand old trees of Hyde Park into Indian gods with fighting kites extending the theme into the canopies. 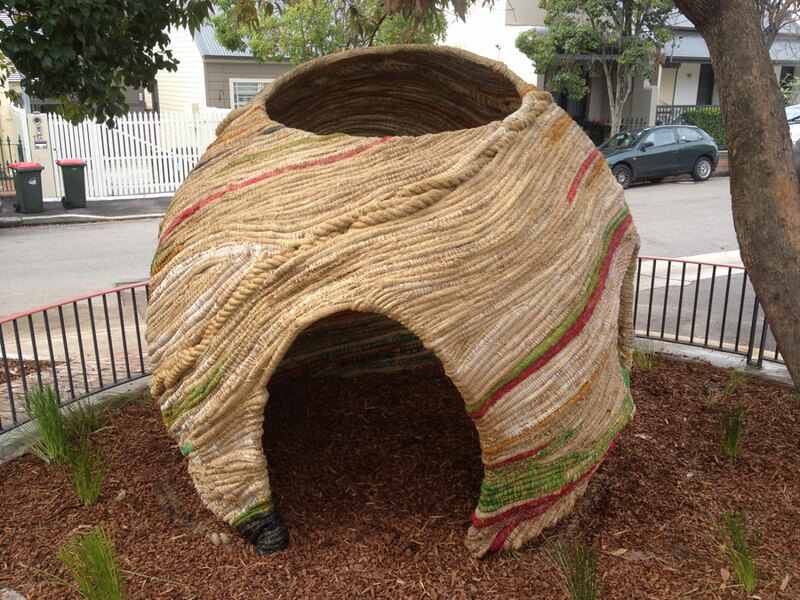 Additionally, 107 Projects created a set of decorative, Indian-themed umbrellas that were used as on-stage sun protection for the children’s performance program. 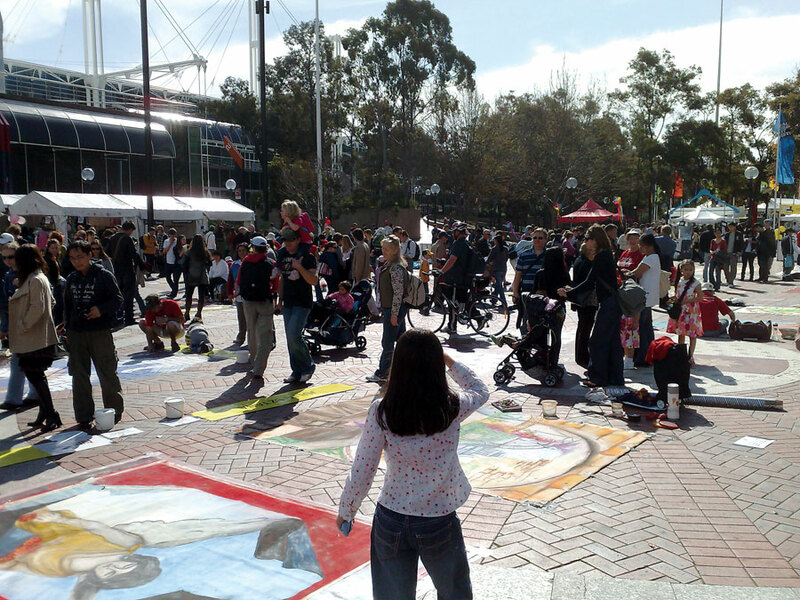 Now in its seventh year, the Chalk Urban Art Festival is focused around a four day chalk art competition for local, interstate and overseas artists. 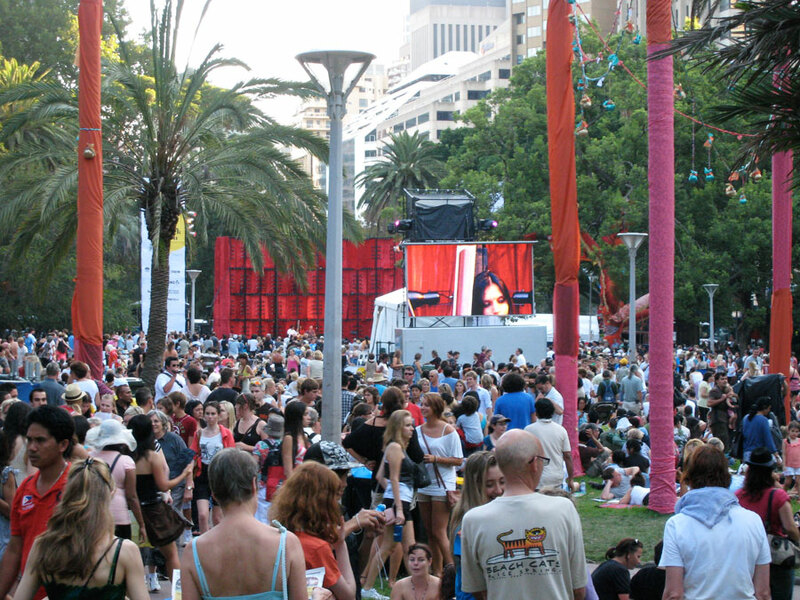 Originally based in Sydney’s Darling Harbour the event now runs along Church Street in Parramatta. 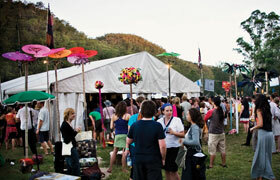 Since Tendril Productions commenced site and production managing the event it has also incorporated live music, dj’s, artist talks, community workshops, performance evenings, exhibitions, a body art competition, market stalls, food & beverage stall and a wearable art show. 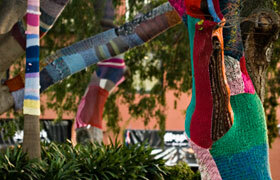 ‘I ♥ Kings Cross’ by Reef Knot was a community-focused art project commissioned by City of Sydney as part of Art & About 2009 and installed across multiple locations in Sydney’s Kings Cross. 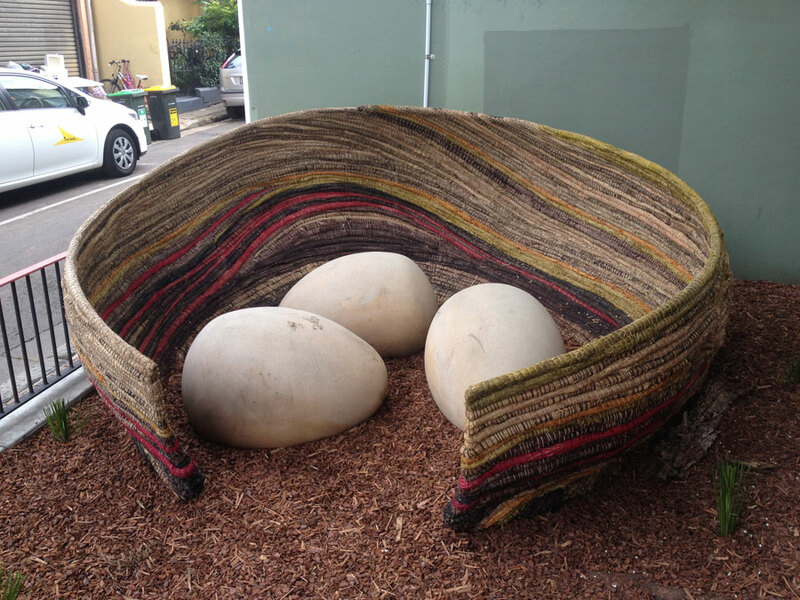 The project entailed the co-ordination of approximately 25 knitting workshops, co-ordination of six local business partners and a grass-roots publicity campaign. 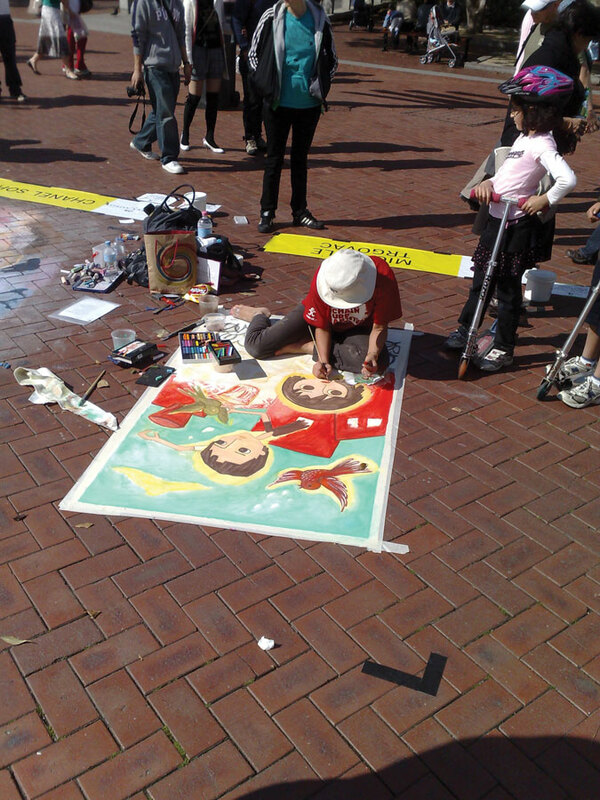 The resulting artwork displayed the creative contributions of over 200 participants from children through to senior citizens, naval officers to architects. 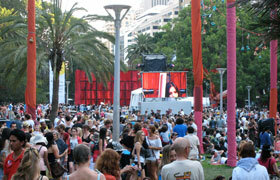 ‘I ♥ Kings Cross’ was the recipient of the 2009 Sydney Music Arts & Culture award for ‘Remixing the City’. 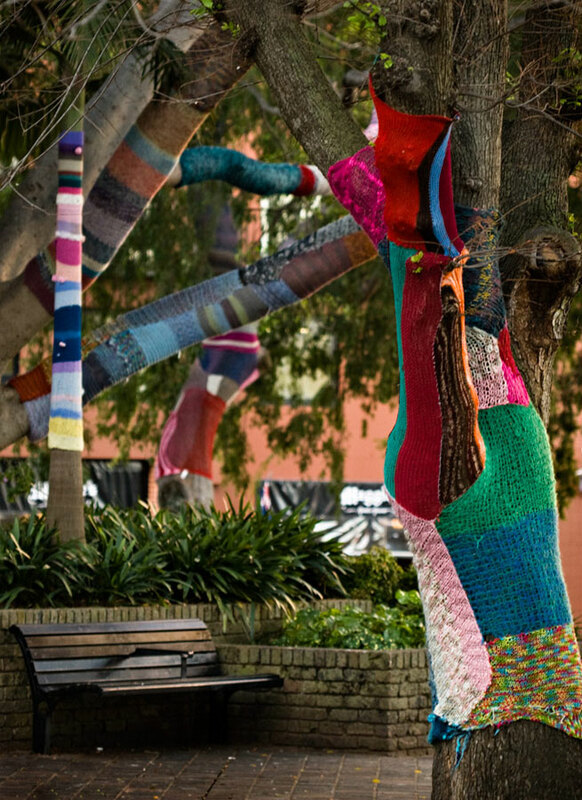 Ficus, Fitzroy Gardens. Photography © 2009 Matthew Venables. 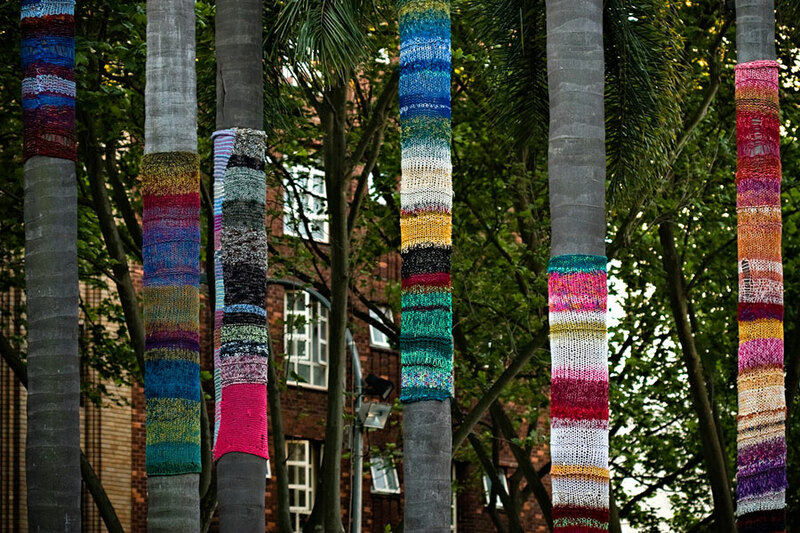 Fitzroy Gardens knits. Photography © 2009 Matthew Venables. I Heart Kings Cross police station. Photoraphy © 2009 Matthew Venables. 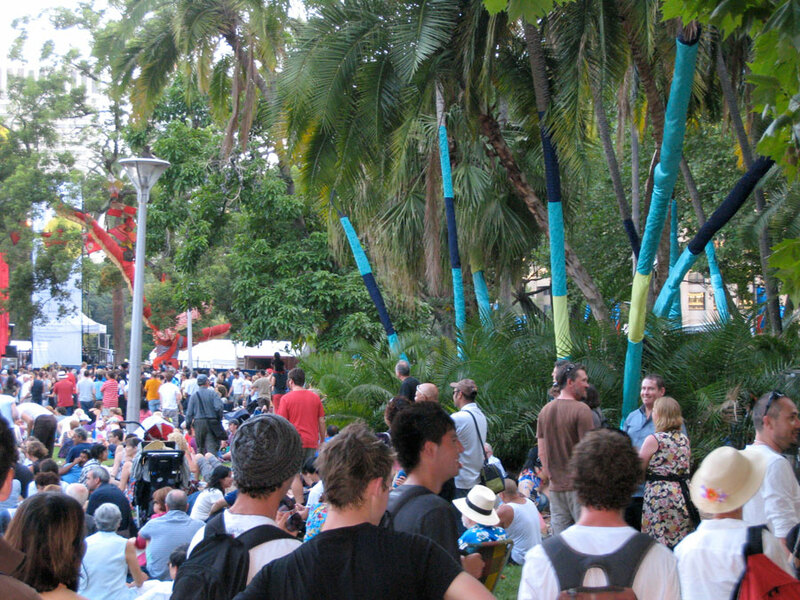 Fitzroy Garden palms. Photography © 2009 Matthew Venables. 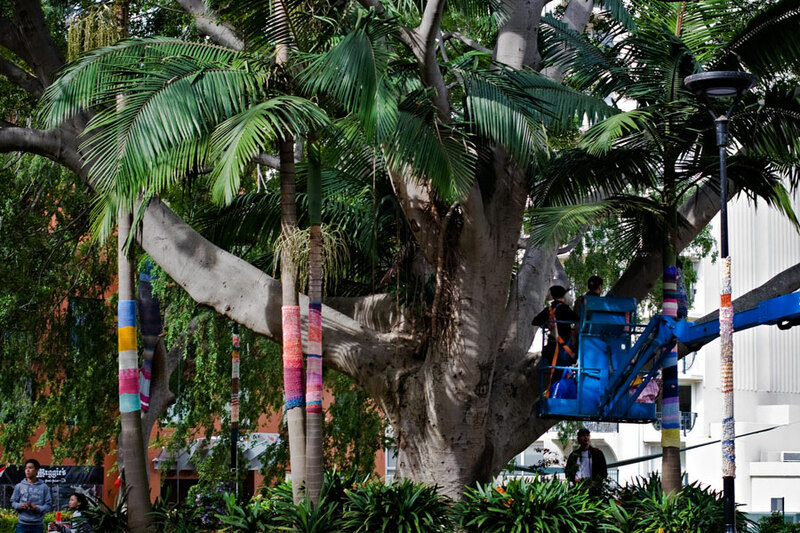 Installing ficus, Fitzroy Gardens. Photography © 2009 Matthew Venables. 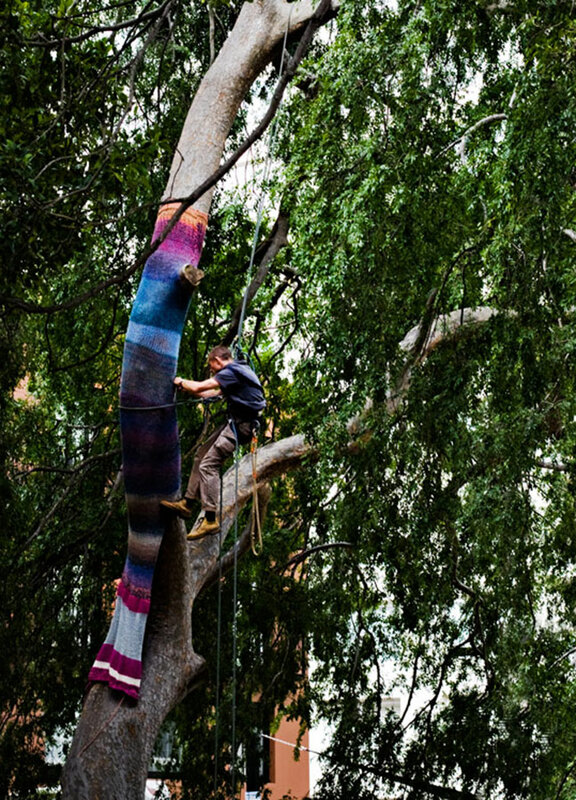 Martin Peacock installing knits in trees. Photography © 2009 Matthew Venables. 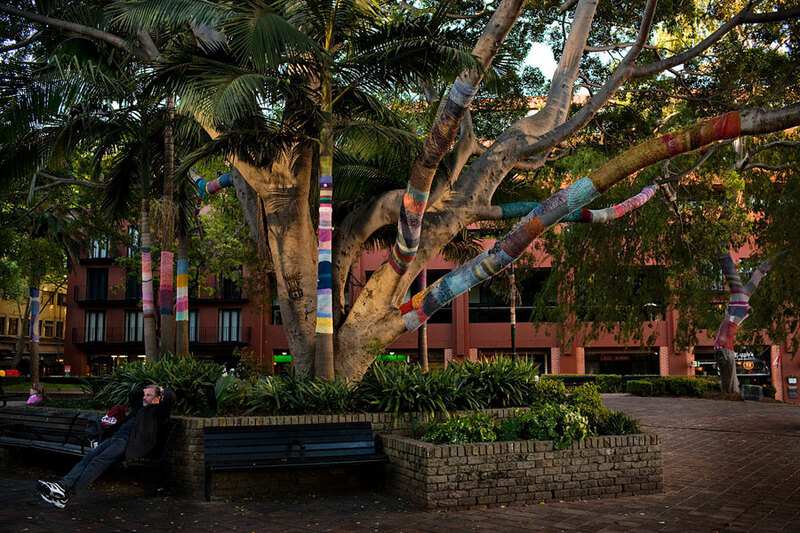 A collaborative multi-arts installation by Reef Knot commissioned by City of Sydney as part of Live Lanes: By George! (2008 – 2009). 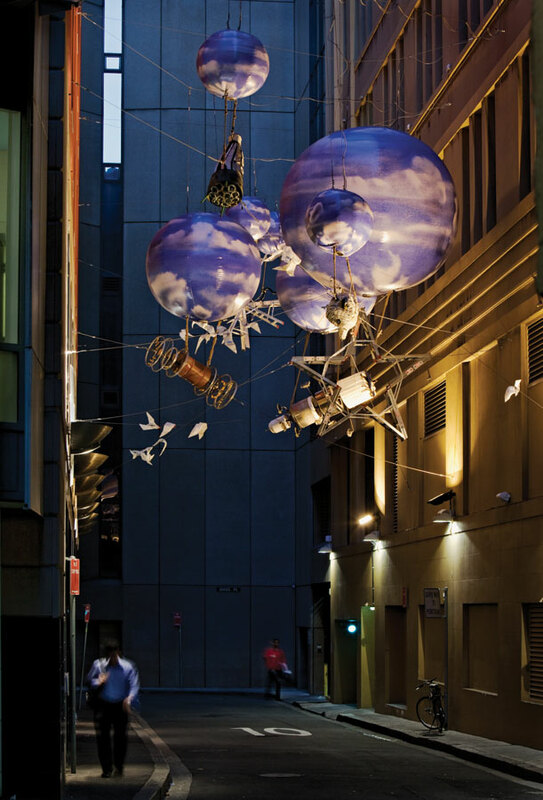 The work was installed above the traffic line of Angel Place in the Sydney CBD. 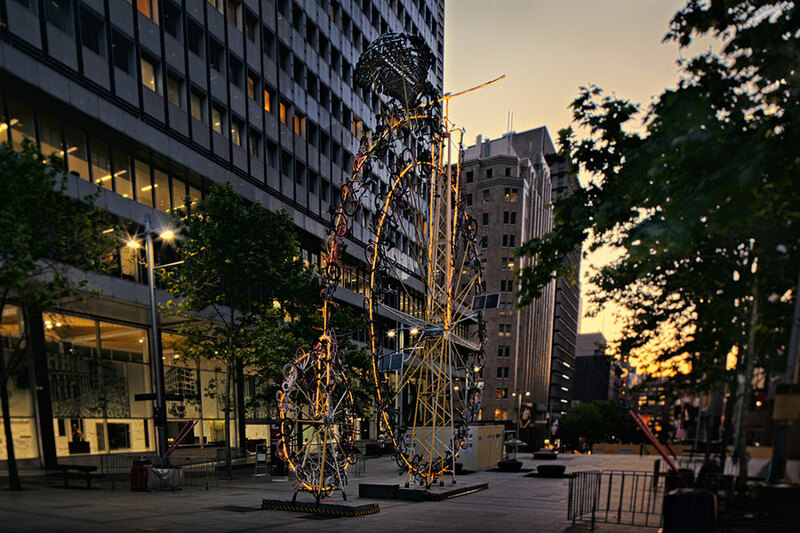 It featured a series of custom-designed inflatables suspending sculptures made from recycled materials and a multi-channel audio installation. 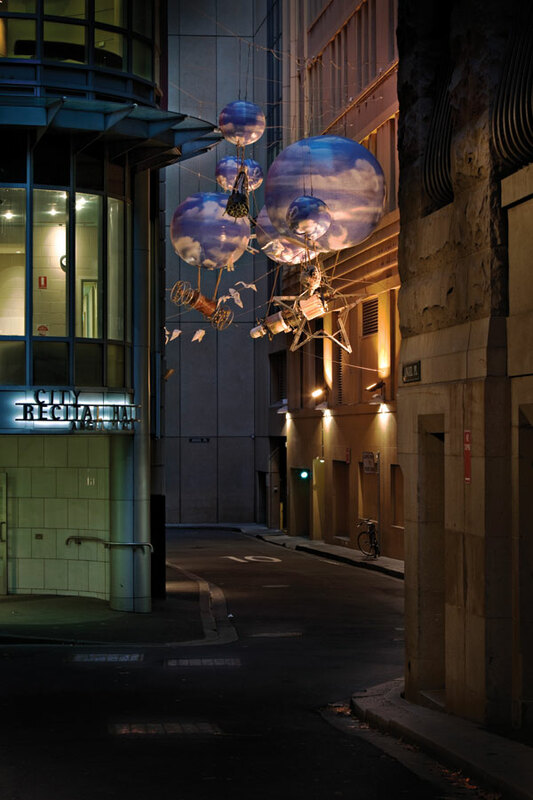 Remaining installed throughout January, the work provided a backdrop for Sydney Festival First Night’s Uber Lingua stages. The Sky is Falling! Photography © 2008 Matthew Venables. 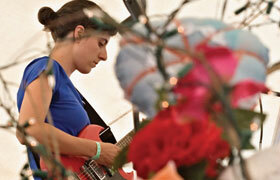 So 2010 proved to be an exciting year for Tendril Productions. 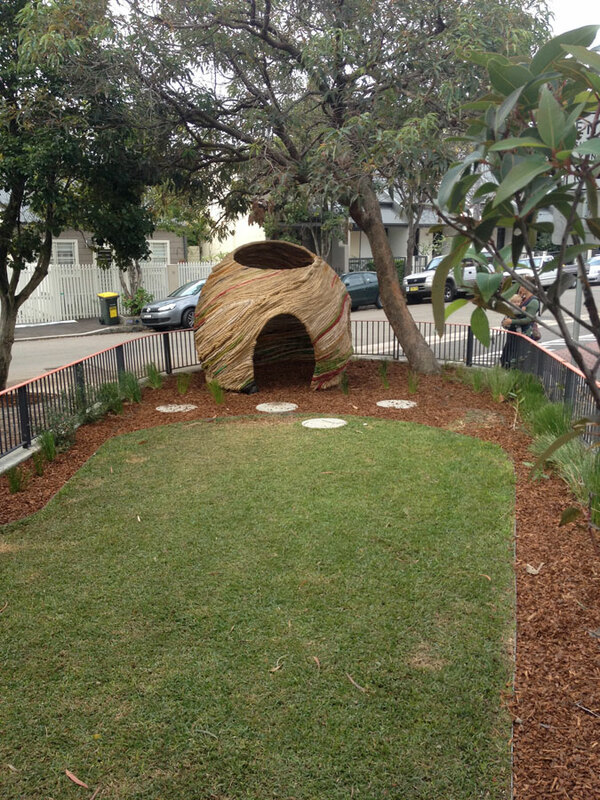 You’ll find loads of pictures in our projects section, but to give you an overview. . . 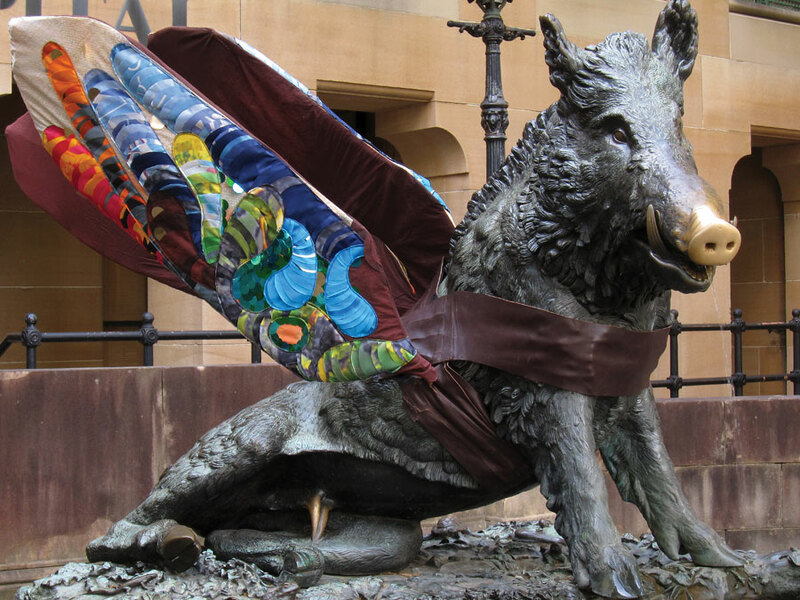 In January we worked the Sydney based non-profit arts organisation, 107 Projects Inc., to help produce and install Flight of Fancy as part of Sydney Festival First Night. 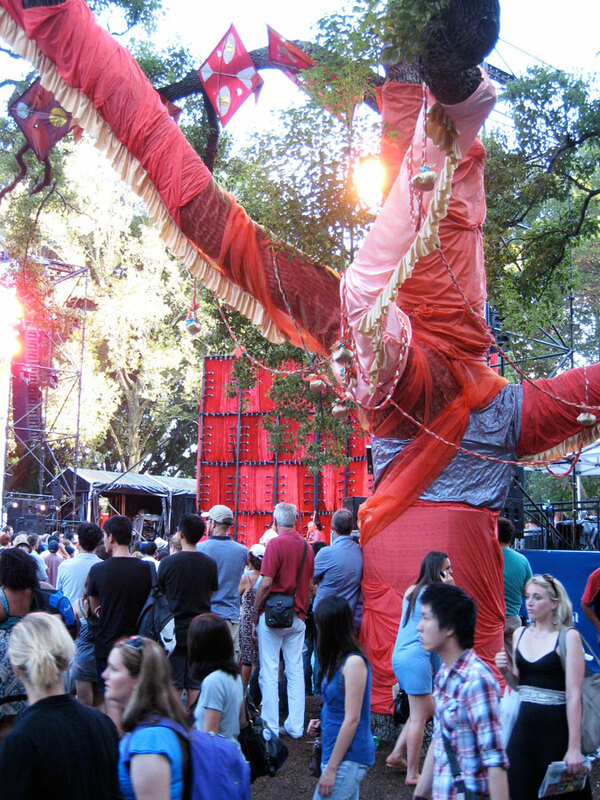 Picking up on the Indian focus of Hyde Park’s Palm Stage, Tendril worked with a strong creative team to dress the trees and stage in anticipation of the 50,000+ guests who enjoyed a day of free entertainment. 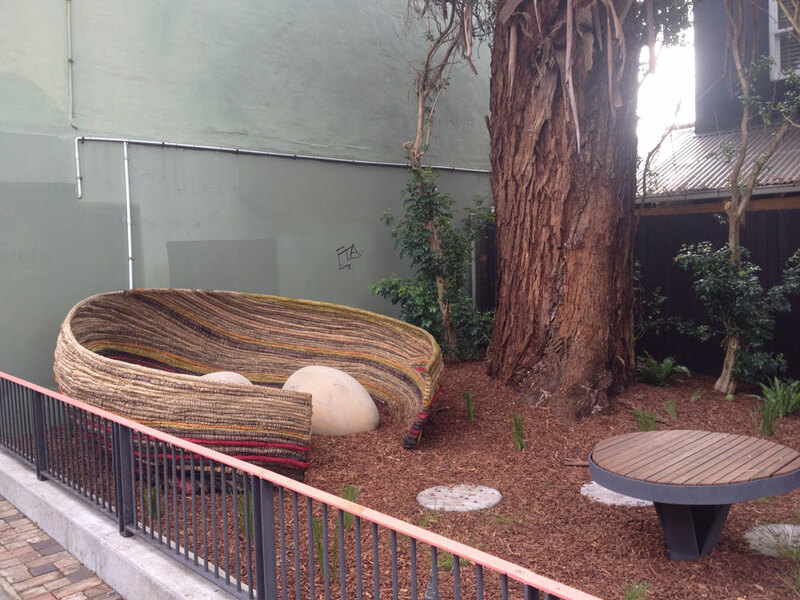 Throughout the year we worked on a number of projects that were installed in the spacious foyer of CarriageWorks. 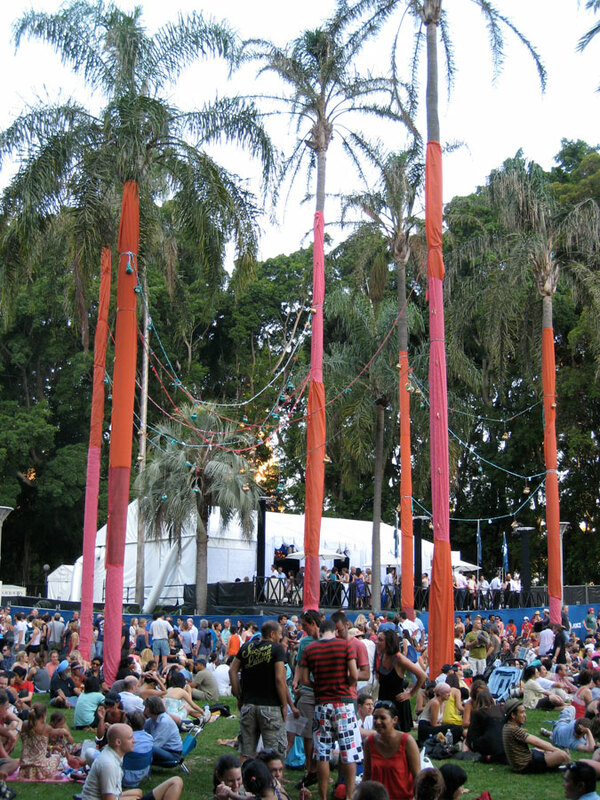 These included several installations for the Finders Keepers markets as well as the CarriageWorks produced Winterland festival. 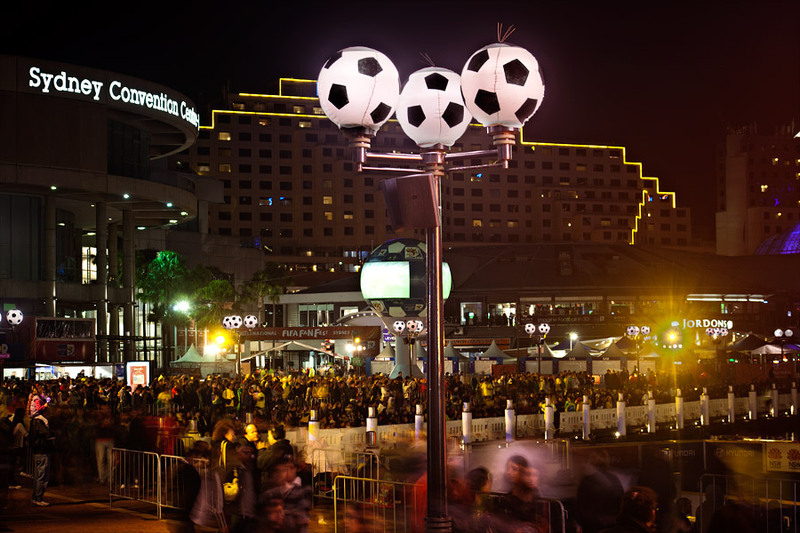 In June we worked with the NSW Department of Premier and Cabinet: Community Engagement and Events to deliver a couple of scenic decor installations for the Sydney International FIFA Fan Fest live site at Darling Harbour. 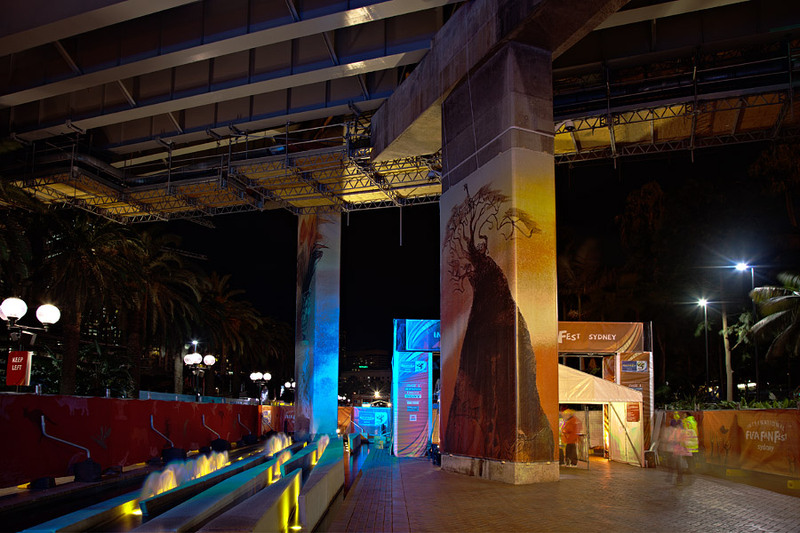 As the second half of the year rolled ahead we found ourselves instrumental in the production of two major public art projects, both commissioned by the City of Sydney for it’s Art & About Sydney 2010 festival. 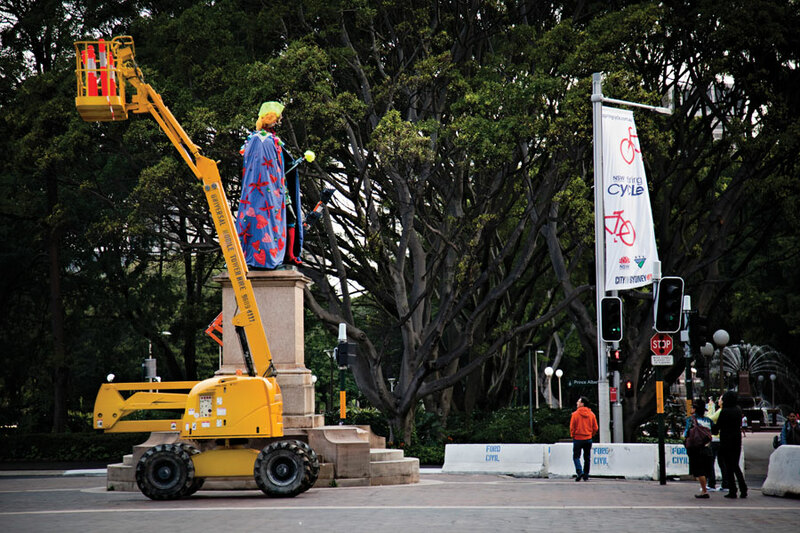 We worked with creative director Michelle McCosker and The Occasional Collective to production manage the Sydney Statues: Project! 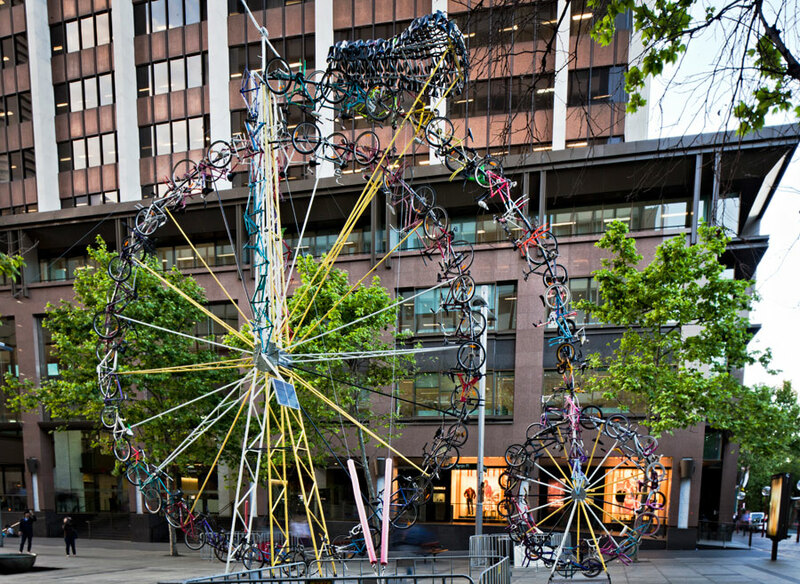 and worked with artist Alasdair Nicol to produce The Bike Bike. 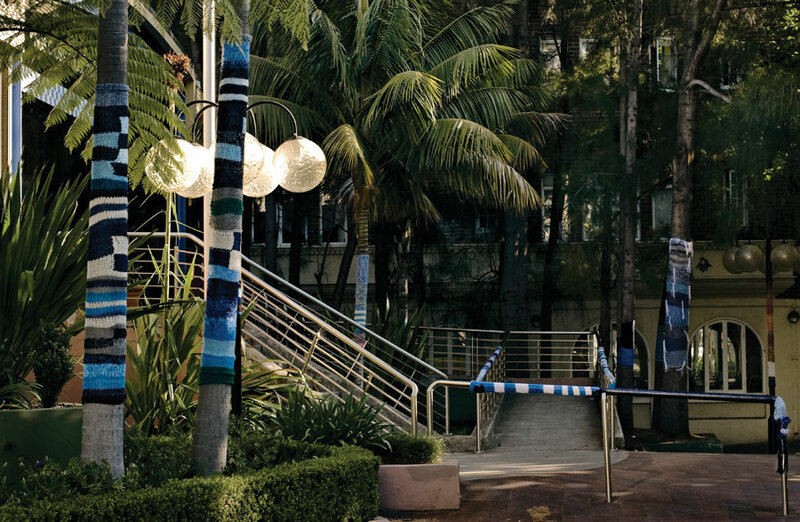 To round out the year, Tendril focussed on Sydney’s western suburbs. 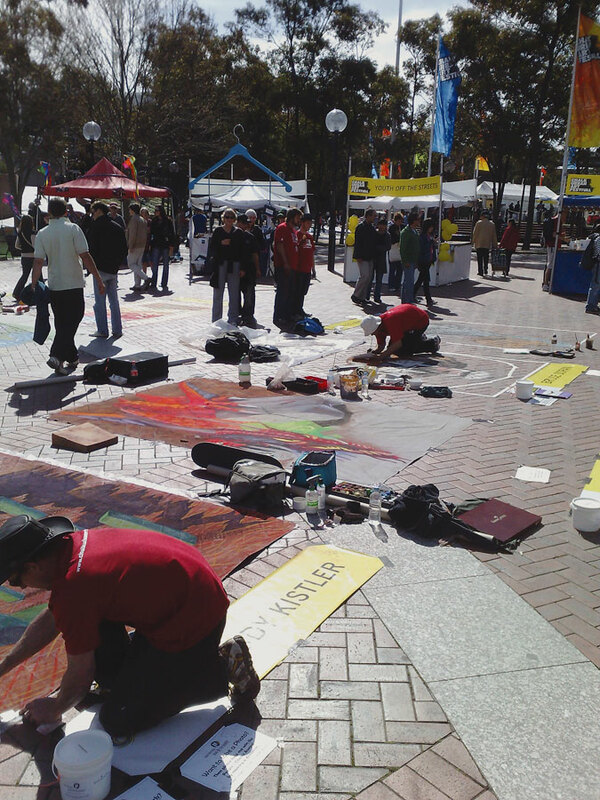 In October we production and site managed the Chalk Urban Art Festival for Zest Events in conjunction with Parramatta City Council, and in November we provided scenic decor installation and planning for the inaugural Parramasala, an Australian Festival of South Asian Arts.